The respiratory system is an important component of your body. Without a properly functioning respiratory system, you would not be able to live. 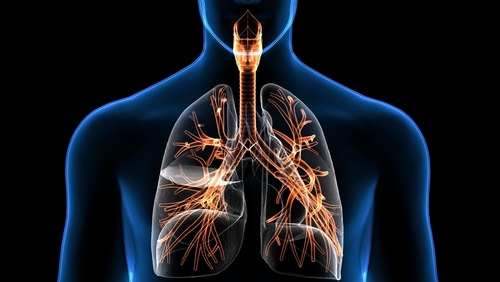 Your respiratory system is responsible for bring oxygen and nutrients to your cells. Afterward, it takes away carbon dioxide and toxins that have accumulated within your cells. The main components of your respiratory system are the muscles involved, your airways and the lungs. All of these parts of the respiratory system must be perfectly functioning for you to live, breathe and be healthy. If one of the organs is functioning poorly, it can be life threatening. There are three essential parts to your respiratory system. The one you probably think of most is the lungs. The lungs are responsible for passing oxygen into your body while also removing carbon dioxide. Meanwhile, the airways like the mouth, nose, larynx and pharynx help you bring air and oxygen into the lungs through breathing. Meanwhile, the muscles of respiration like the diaphragm power this system to help pump air into and out of your body with each breath. The mouth is a body part that you are more than familiar with. This is one of the two exterior openings of your respiratory system. Known medically as the oral cavity, it is like your respiratory system’s back up plan. Normally, you respire through your nose and naval cavity. If these are blocked because of a cold or something else, you breath through your mouth instead. When you inhale air through the mouth, you can actually inhale more air than if you used your nasal cavity. This is because the oral cavity is larger in size. Once the air is brought into your body, it has a shorter distance to travel than air does from your naval cavity. Unfortunately, there are no hairs in your mouth to filter out dust or bacteria from the air you breathe. While this is probably a good thing when it comes to eating, it does mean that the air does not get filtered in any way when it goes through the mouth. The nose is the main opening for your respiratory system. It is made up of muscle, bone and cartilage. Interestingly, your nose is not made the way you think. The holes at the back of your nostril actually go straight back into your skull. This is why some circus shows have people who can hammer a nail or something else back into their nose—we do not recommend trying this at home or ever though. Your nose is also known as your nasal cavity. It is fulled with hairs and mucus membranes that help to filter out contaminants like pollen, dust or bacteria before the air goes into your body. The nasal cavity also naturally warms up the air before it enters the rest of your respiratory system. Your larynx is also known as your voice box. It is located below the pharynx in the back of the next. This voice box is a defense mechanism for your body. While it also helps you to speak, the larynx also prevents food from going the wrong way through your cough reflex. Your pharynx is your throat. It is essentially a muscle that connects your esophagus and larynx. When you inhale air into your pharynx, it travels to the larynx. The epiglottis helps to ensure that it goes to your lungs and prevents food from going into the wrong area. The epiglottis moves air to the trachea and food to the esophagus. The trachea is the wind pipe. It is essentially a tube that is made out of cartilage rings that are lined with a certain kind of epithelium. It helps to make sure that your airway is open and clear for air to go into and out of the lungs. Within the trachea, there are small hairs that grow along the inner walls. These hairs help catch pollen, dust and other contaminants in the air so that you do not breathe them into the lungs. You later expel these contaminants through coughing. The bronchi are made up of two tubes that start at the end of the trachea. Each of these tubes connects to one of your lungs. This allows air to go from your nasal or oral cavity into the lungs. Once the bronchi connect to the lungs, they branch out into secondary bronchi. Once the bronchi divide, they create tertiary bronchi. These smaller tubes lead to your alveolar sacs. These sacs are the location of your alveoli. Alveoli are cavities that are hollow within the alveolar sacs. They are made with thin walls that make it easier for oxygen and carbon dioxide to transfer within the lungs. The average person has three million alveoli in their lung. Your diaphragm is the main muscle responsible for respiration. It is placed beneath the lungs and can expand into your thoracic cavity. When this happens, it creates a vacuum that pulls in air. When the diaphragm pushes toward the rib cage again, it pushes air out by changing the pressure in your lungs. There are many different medical conditions that can impact your respiratory system. Out of these conditions, we will cover some of the most common problems. Laryngitis: This condition occurs when your vocal chords are inflamed. It is what people commonly think of when they say that they lost their voice. Asthma: Asthma is a common condition in adults and children. It basically means that your airways become narrowed. As a result, you may experience wheezing, breathing problems and breathlessness. Lung Cancer: Lung cancer can happen to anyone, although it is more common in people who smoke. Emphysema: Emphysema is a condition that affects the alveoli in your lungs. Bronchitis: Bronchitis is caused by a virus that can hurt your respiratory system. Pneumonia: This illness involves both or one of the lungs becoming inflamed. Influenza: This is an illness caused by a virus that can also hurt your respiratory system. Previous articleWhat Type of Drug Is Marijuana?